After obtaining an MSc in Medical Biology and a PhD in Molecular Microbiology, Erik worked for a number of years in the field of immunology before making a career switch to banking in 2001. 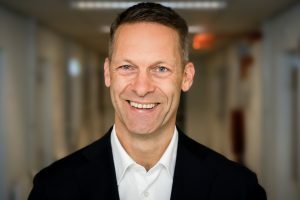 He spent the next 15 years in different commercial and management roles and his last five years in banking as Executive Director Corporate Finance at Kempen & Co, an investment bank with a focus on Life Sciences & Healthcare. By combining medical-scientific insights with strategic thinking, Erik aims to drive the DCprime team and DCprime collaborators to explore new and relevant solutions to the treatment of cancer. Erik joined DCprime in 2017, first as business development consultant and from March 2018 as CEO.